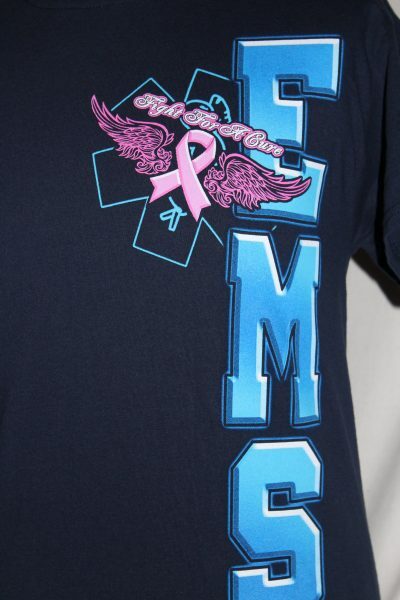 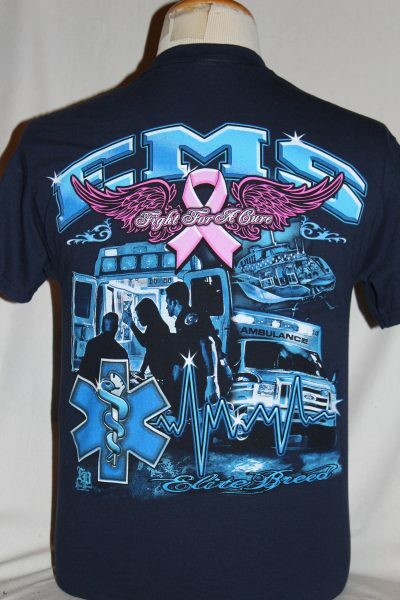 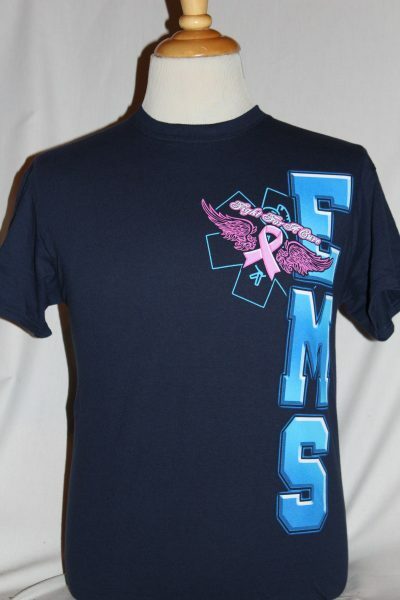 The EMS Elite Breed Fight For The Cure Breast Cancer Awareness Tee is a two sided print in the color dark blue. Front Design: Pink ribbon, pink wings, and text superimposed over the EMS symbol. 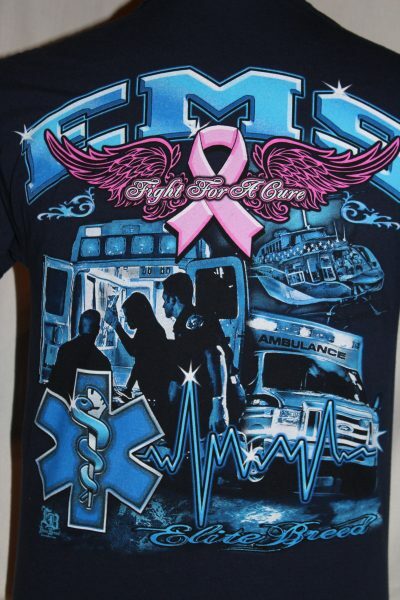 Back Design: Pink ribbon, pink wings, ambulance, helicopter, and Fight For The Cure text.